Enhanced Durability - Easy to use and efficient solvent-free and water-thinnable single-component silicate paint system. 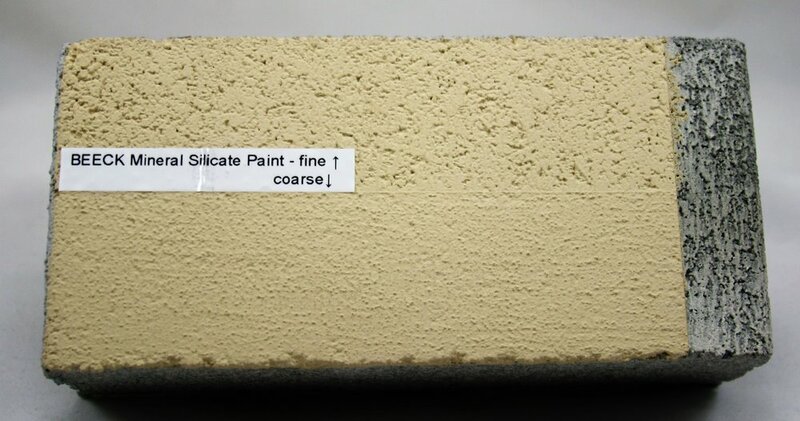 The ideal silicate paint for most renovation projects as well as new construction. BEECK Renosil is the next generation universal single-component silicate paint system for renovation or new projects that have a variety of surface conditions. BEECK Renosil is solvent-free and water-thinnable utilizing a potassium silicate (water glass) binder. Renosil is colorfast/non-fading, UV stable and extremely breathable. Renosil can be used for refreshing or renewing and re-mineralizing raw surfaces or surfaces previously coated with water based synthetic resin coatings as well as renewing or finishing external thermal insulation façade systems. 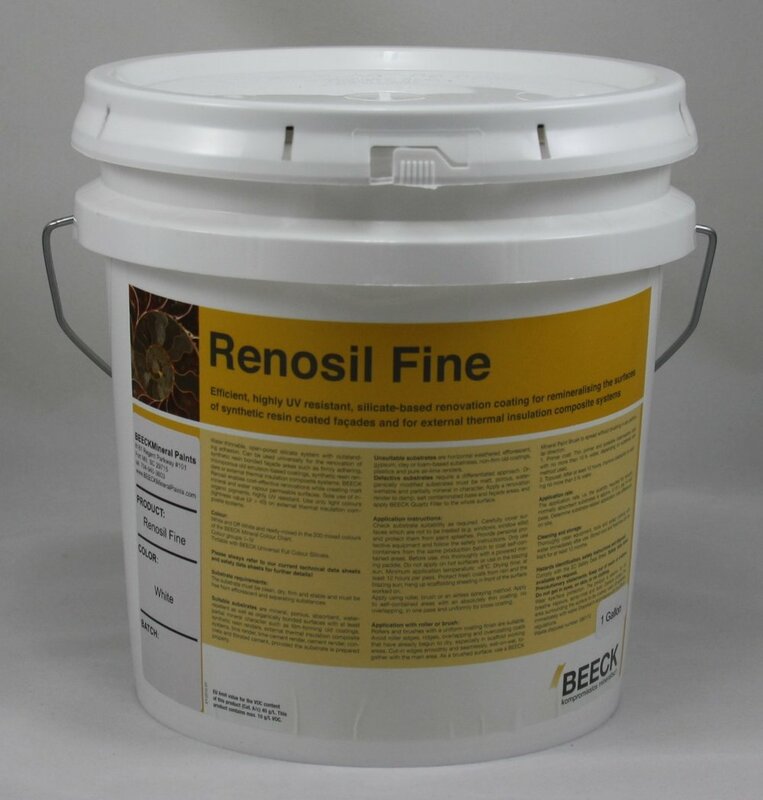 Due to its unique handcrafted quality, period correct formulation and durability, Renosil is the ideal coating for restoration and renovation of historic structures. Its physical properties are a great fit to the building physics characteristics of historic structures as well as all modern brick, concrete and masonry. Renosil is a great solution for protecting façades in the harshest environments from tropical to polar and even in scorching sun baked desert conditions. 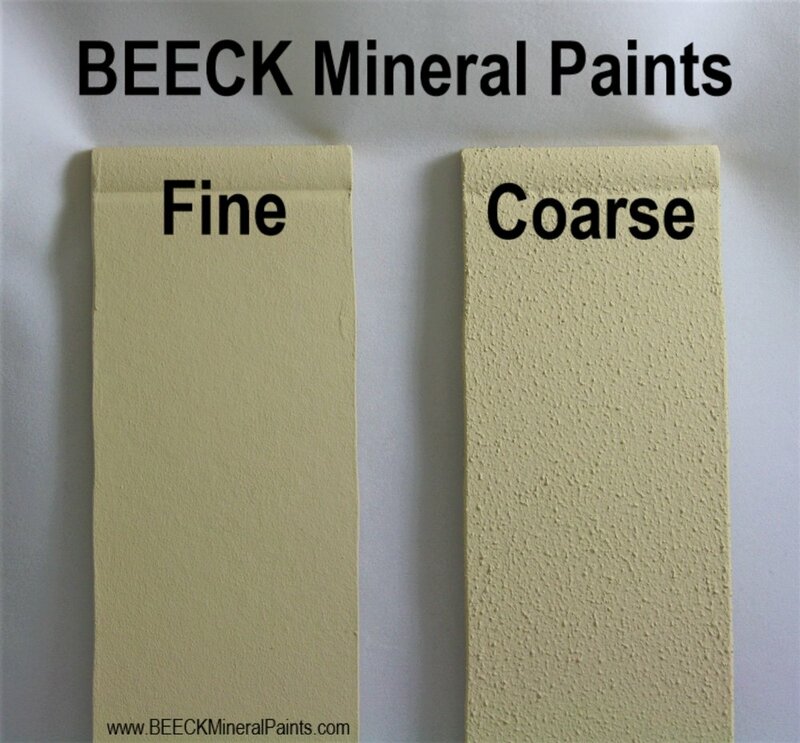 Renosil is available in white and all 200 colors in the BEECK Mineral Paint Color Chart. Custom color matching is also available. Contact us for Custom color matching. Consumption is approximately between 300-325 sq.ft. per gallon, per coat.